I am skeptical anything could possibly top the masterpiece that was last season of the Real Housewives of New York, but the ladies are back and it certainly looks like they’re trying their hardest. Please now bask in the 9th season trailer for the show about what would happen if, during my sophomore year of college, my friends and I hate kind of hated each other and were very rich. Either last season is truly getting a run for its money or this is one of the most masterfully edited 2 minutes and 19 seconds I’ve ever seen—probably both. As we all know, LuAnn actually went ahead and married Tom in a blindingly white dress on New Year’s Eve. We now see that the women—at least Bethenny and Ramona—did not let them go sailing into the sunset in peace. Ramona hints at having more information that’s obviously about Tom cheating and Bethenny straight up sobs all over LuAnn about Tom’s infidelity and plots with Carole to stop the wedding. In even worse news, Andy Cohen finally got tired of Jill Zarin begging for just one more shot at relevancy and she finagled her way into a cameo that better be quick and a one-time-only deal. Poor Jules Wainstein has been replaced with onetime socialite Tinsley Mortimer who, for some reason, lived with Sonja during filming. Based off the trailer, Tinsley seems to fit in rather well but Page Six tells a different story so we’ll have to wait and see on that one. The presidential election, unfortunately seems to be a sizable storyline, which I am not loving. I come to the Real Housewives to escape most aspects of reality, not to be reminding about the nightmare we’re living in. Dorinda The Thug is back and I cannot wait for her to spend all season trying to act like she’s not on cocaine (ALLEGEDLY). Thankfully, there weren’t any John Mahdessian appearances in the trailer but I know better than to expect a complete purge. 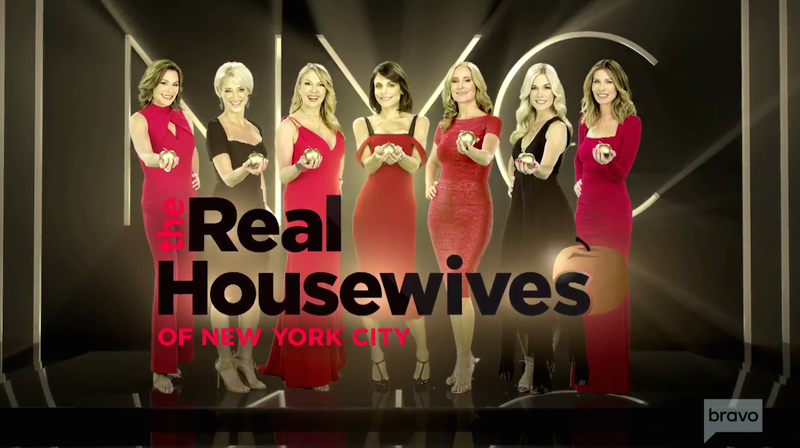 Season 9 of the Real Housewives of New York premieres April 5th at 9/8c. Did My Dream Come True? Is Tinsley Mortimer Joining the Real Housewives of New York?